Size does matter. And this anime figurine is pretty damn big. 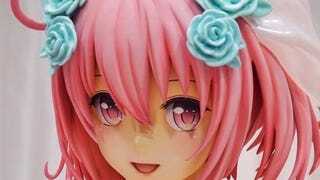 The figure was recently displayed at an event in Japan. Pretty big, no? What’s most amazing, however, is that this was done with a 3D printer. I don’t think I’ve seen an anime figure this large before from a 3D printer.